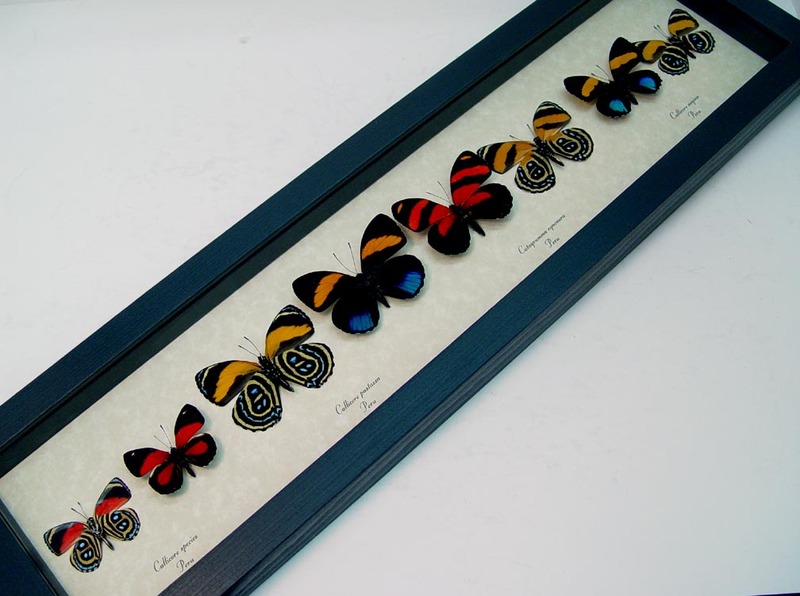 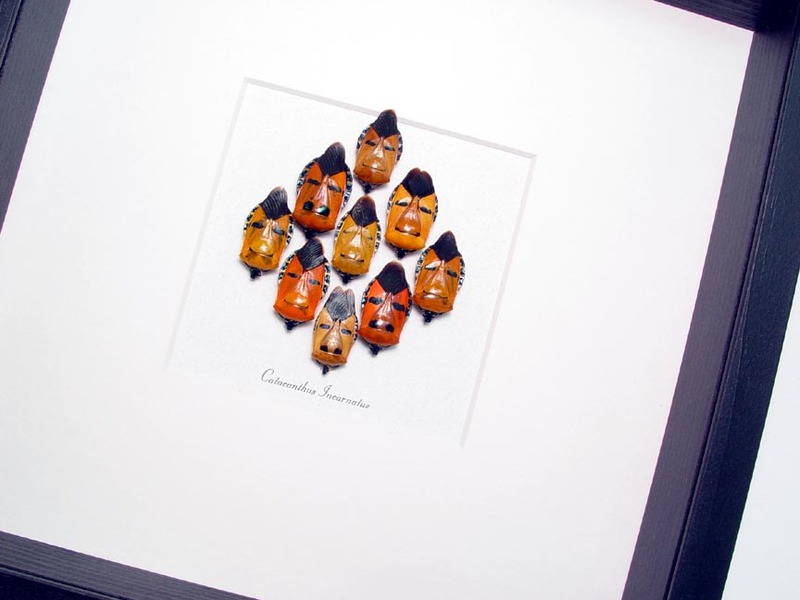 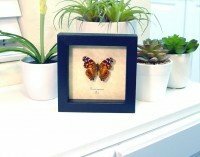 Description: Beautiful cicada set featuring green, orange, brown and blue cicadas. 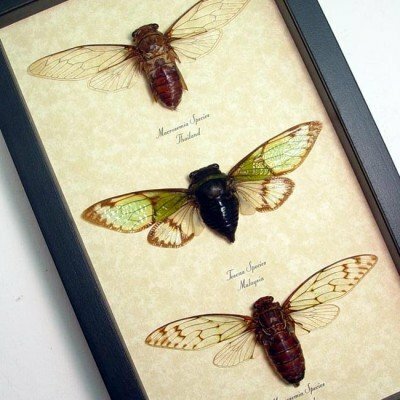 The name Cicada is a direct derivation of the Latin cicada, meaning “buzzer”. 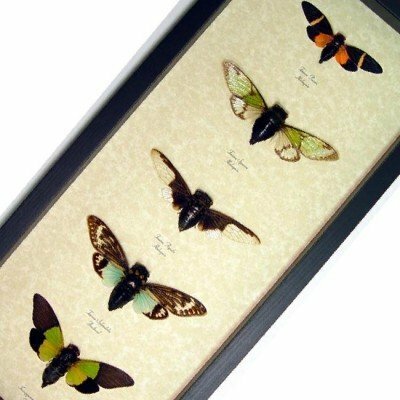 There are about 2,500 species of cicada around the world, and many remain unclassified. 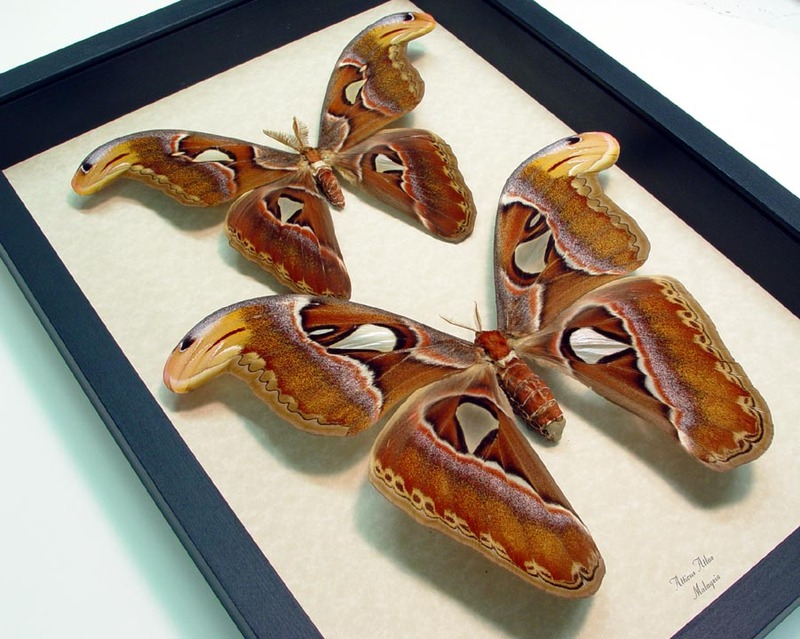 They are very recognizable with large eyes wide apart on the head and usually transparent, well-veined wings.